On the exoteric level the New Moon in at 8° Aquarius on 28th January appears to be silent and without major aspects. In reality behind the scenes the configuration of the sky is preparing a huge shift in consciousness through a process of diving in the depth of the self in order to bring to the surface the voice of the soul coming from the heart. Aquarius is a sign of movement, freedom and transformation on many levels. From the colour point of view Aquarius is associated to violet, which means escapism, metanoia and the process of transformation, transmutation and transubstantiation. In the Kabbalistic tradition this star sign is controlled by a spiritual frequency represented by the permutations of God’s name, which are encoded as the initials of a certain verse from the Bible. The one associated to Aquarius is Shevat, which indicates the powers to make transformations and have changes in one’s life, and it is coded in the in the initials of the verse of Leviticus 27:33: “..and if he converts it at all, then both it and that for which it is converted to shall be holy…”. 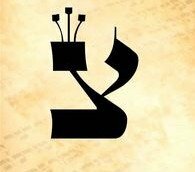 Shevat’s governing planet is Saturn, which is ruled by the Hebrew letter Beth, while the sign of Aquarius is ruled by the letter Tzaddik. According to astrologer Alan Leo, Saturn is the ruler of the decanate of this New Moon. Saturn is the planet of discipleship and of opportunity; it presents us those difficult situations and crises that involve free choice, wise response and correct decision with the purpose of bringing about the destruction of that which hinders and holds us back. Saturn is there to reveal our soul fundamental nature, the purity of one’s true self, behind the old behavioural patterns and for that reason his influence becomes very strong when we have deviated from manifesting it. Beth means House, God’s Dwelling Place Below, the inner temple of the body, where the true light of the soul should find its abode: “They shall build me a Temple and I will dwell in them” (Exodus 25:8). This New Moon will create two semi squares in the sky: one with Saturn in Sagittarius and another one with the Piscean Venus, the ruler of the last decanate of Aquarius. In the background we will assist at a beautiful T-square configuration between Uranus, the exoteric ruler of Aquarius, in Aries, Jupiter, the ruler of Aquarius on the Fixed Cross, in Libra and Mercury, the ruler of the second decanate of Aquarius, in Capricorn. This means that Saturn, after having offered the opportunity and given us a choice to bring about the needed changes and to destroy that which holds back the free expression of the soul, will stand aside in order to let Mercury infuse our minds with the light of the soul in order to let us understand the significance of events and relate the old and the new, the past and the future through the light of the present. Mercury vehicles the quality of the 4th Ray of Harmony Through Conflict which has the purpose of creating a conflict between life and the limits that it has chosen in order to align our inner and outer nature, the soul and the personality, through the death of the way of thinking that holds us back in the past. Esoterically death is an intuitive act and death frees us from the boundaries. Uranus, the revolutionary, will generate the inner urge for better conditions and Jupiter will give an inherent tendency to the inner fusion which we won’t be able to arrest. The Venusian influence of the 5th Ray of Science and Knowledge, which is the Will to Act, has been triggering a push toward liberation through the inner realization of the necessity of the union of heart and mind in order to reveal the truth about who we are. Esoterically the Moon is the ruler of Aquarius on the Cardinal Cross of the Initiate, the one who lives from soul. For this reason, more than in any other position in the zodiac, the Moon will create the conditions that will lead us into an inner process of metanoia. Jesus was referring to this concept by using the word tob meaning “to return”, “to flow back to God”, the process of “going beyond or higher than the ordinary mental state” (Stanislav Grof, Marjorie Livingston Valie) to a place in us where we meet with God. This spiritual transformation of the mind occurs when we realize that we do not truthfully feel ourselves as Spirit intends us to, and that we need to transcend the idea, the concept, that we hold about ourselves and become Spirit-soul-centred. This New Moon will be conjunct the Fixed Star Alpha Tucana in the Toucan Constellation. Symbolically Toucan comes to us to mirror our behaviour and to tell us that we can safely take off our mask, step forward and stand in the forefront instead of the shadows; it is about revealing the truth of our inner self, the soul. The final endings are coming to us, and the inner fusion between the heart and the mind is taking place. 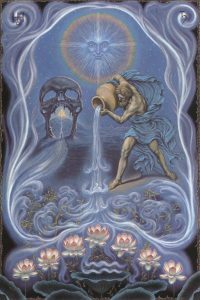 Aquarius is the sign of service – service to the soul and service to the group. 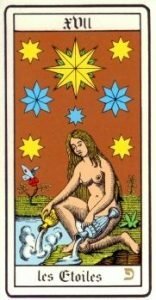 As it is related to the Hebrew letter Tzaddi, it refers to the XVII esoteric Tarot card The Stars, which is the card of Truth and Love. Here Venus is asking us to take our place in the universe by fusing what we want in the heart with what we live by saying to us: “Be guided by your Light”. Love is a complete trust in the will of God and in the revelation of our Spiritual nature in matter, for this is how we realize and we go through alchemy. We cannot live our true life if we do not live from our soul essence, as it is soul that gives sustenance to matter. 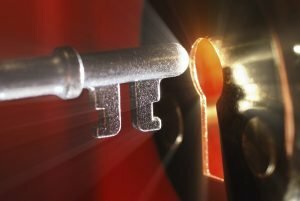 Real freedom comes when we realize that we are the witness of the experience of fusion of these two aspects within the self. It is a time to connect and listen to the inner voice coming from the heart, it is the end of the old “I” and the coming to the outer world of the true voice from within.